Hope you are all ready to meet the real Claire Pettibone. We got up close and personal with bridal fashion guru Claire Pettibone and are so excited to share. Well known for her vintage inspired and bohemian style wedding gowns oozing with romance and femininity, Claire gets candid with us from personal style to her favorite music to the people she loves. 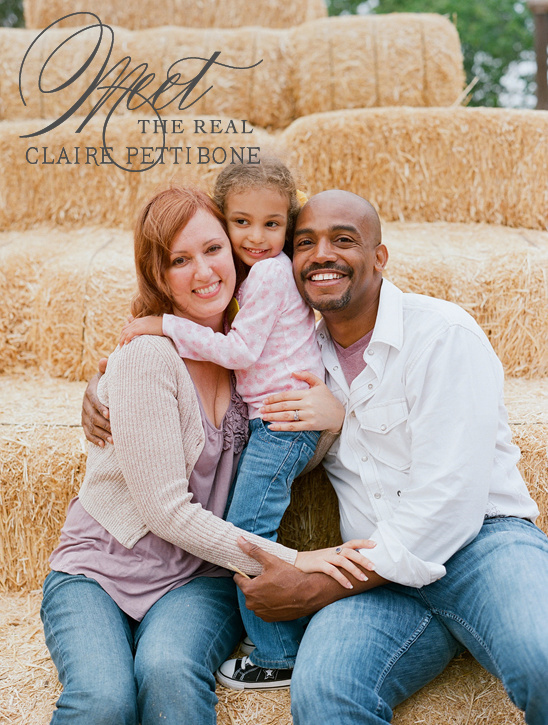 We are long time fans and admirers and are so humbled that Claire would get a little personal and fun with us. Thank you Claire. WC: Is there something about you that may surprise our readers?CP: I met my husband at a nightclub in Hollywood! 19 years later, shows you never know where love is going to grab you.WC: How you would describe your personal style?CP: Casual romanticWC: If we were to meet for coffee, what would you wear?CP: Jeans, lacey camisole, ruffled sweater-jacketWC: Your favorite song at the moment is ...CP: anything by Florence + the MachineWC: What inspires you to create?CP: My lovely brides, vintage laces, wall paper, cake, rambling gardens, peonies, the sky, Gustav Klimt, Alma Tadema, John Singer Sargent, Paris, paint swatches, antique jewelry, Big Sur, my grandmother's photo album, music, my beautiful daughter Lorelei, and my dream of a husband. That peaceful sense of spirit that radiates within all the beauty on this planet that is the mental state I tap into when I create a collection.WC: When you have an idea or vision (as we refer to it) what do you do? ex: write it on paper, email yourself, text yourself?CP: Combination of old-school pencil and paper, and then to clarify my thoughts, sometimes it's a Word doc. 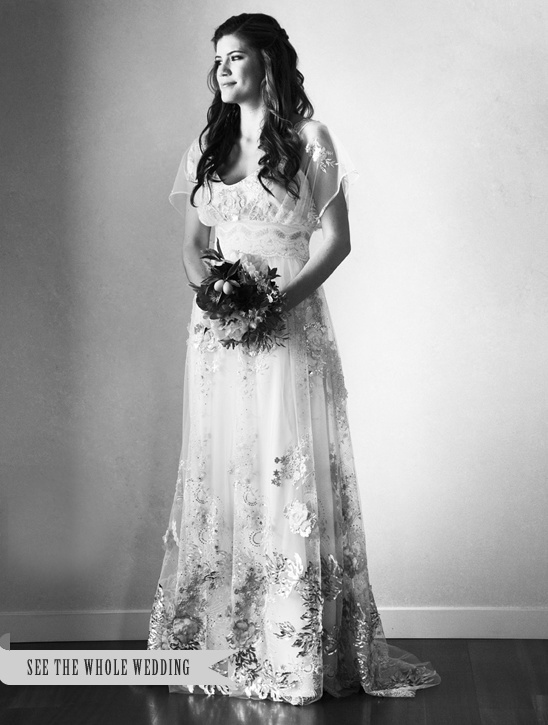 WC: How would you describe the bride who wears your gown?CP: Intelligent, independent, feminine. All ages, all body types, but the common thread is wanting a gown that touches her soul and is utterly romantic.WC: We feel that your works embodies the epitome of femininity, romance and softness ... do you surround yourself with these elements in your studio?CP: It's a big ole mix of gorgeous swatches and pretty tidbits mixed with books, papers, and clutter!WC: What advice would you give a bride who is searching for her gown?CP: Bring no more than two friends/family members shopping with you at least until you've narrowed it down. 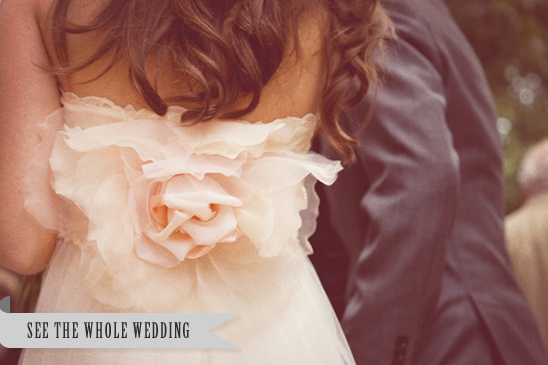 If you are ready to choose your life partner, you should be able to choose a dress without a committee! Oh, and wear flesh colored underwear! WC: Do you work alone or do you have a so-to-speak right hand man who knows you as well as you do?CP: My husband Guy Toley is my partner in business as well as life. We started the business together 17 years ago, and he (thank goodness) handles all of the numbers and management sides to running a company.WC: Coffee or tea?CP: teaWC: Chocolate or Vanilla?CP: chocolateWC: Salad or burger?CP: Both! I'm leaning towards salads lately, but you gotta love a good burger every now and then!WC: Flats or heels?CP: It used to be heels, but I'm momma to a 4 year old, so she keeps me on my toes in flats! We hope that you all loved our interview with Claire Pettibone. To see the Real Brides above wearing her gowns you can click here and here. Be sure to stay tuned for way more pretty. Claire's family photo by Elizabeth Messina.